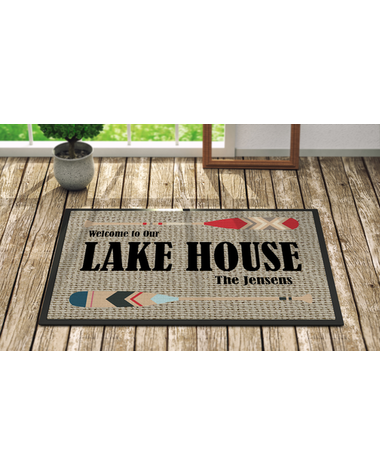 Personalized Paddle Lake Door Mat. 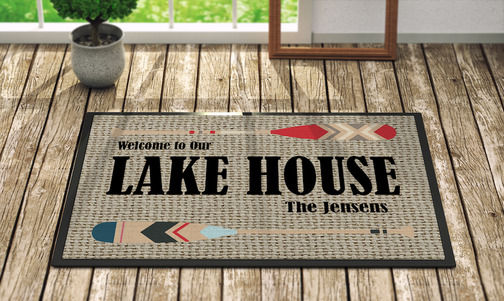 Great your guests to the lake with a personalized door mat at your front door. The mat is made from a 100% tufted polyester with rubber backing for indoor or outdoor use. The mat is nice and heavy, so will stay put on windy days. The mat has a burlap design with a pair of colorful paddles, with will make it particularly attractive for homes that are into paddle sports. 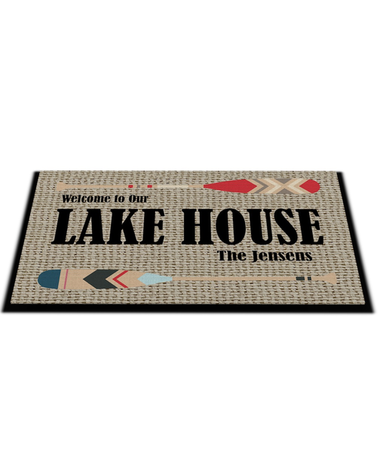 The mat can be personalized with both the family and lake name and location if preferred.